Free Shipping Included! 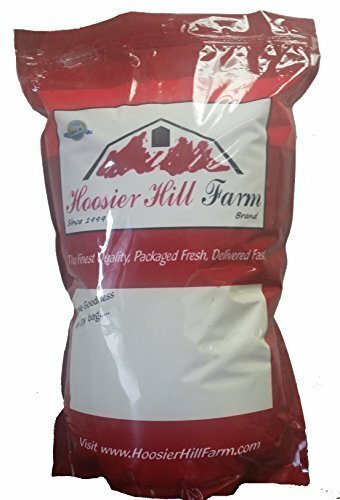 Hoosier Hill Bakers Bags, Bulk Sizes (Yogurt Powder / 5 lbs) by Hoosier Hill Farm at Your Daily Food Choices. Hurry! Limited time offer. Offer valid only while supplies last. Try this in your morning smoothies, use it instead of milk in muffin and biscuit recipes, frosting for sugar free treats or mix in oatmeal. Try this in your morning smoothies, use it instead of milk in muffin and biscuit recipes, frosting for sugar free treats or mix in oatmeal. Refrigeration not needed. Sprinkle onto vegetables, salads, oatmeal, smoothies, ice cream, etc. The powder makes the shakes creamy and saves on calories. In addition to dressings, frostings, and baking recipes, this yogurt powder can be used in soap making.